I stumbled upon this book whilst browsing in a second-hand bookshop in Singapore’s Bras Basah. Usually any book which begins with the author proclaiming: “Hello, my name is X …”, or, “Thanks for coming on this journey with me …”, would have me returning it to the shelf immediately; but the opening lines of Paul Kriwaczek’s In Search of Zarathustra are an arresting start, as he continues – “I had been practising this little speech in Farsi …” Hence Kriwaczek’s intended introduction to his local interpreter, fixer, guide, and travelling companion, whom he was meant to meet at the Mehrabad airport in Tehran, instead ends up setting the tone of the book it introduces. 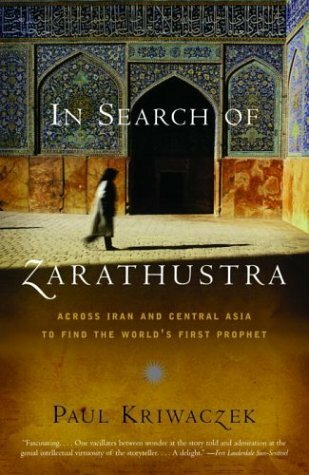 Part travelogue, part historical enquiry, In Search of Zarathustra is a tour de force of writing style. It is a compelling read. Once started I could hardly put the book down. I’m amazed I’d never come across Kriwaczek’s writings before, and now having read the book through, and having looked him up in more detail, I find I more than likely have come across him before without ever knowing it. Before he passed away in 2011 Paul Kriwaczek had an enormously varied career. A trained dentist who had spent many years working in Afghanistan, he later went on to become a radio and TV producer with the BBC, making documentary programmes on scientific and religious topics, before turning his hand to writing books on ancient history. In reading this book I was constantly put in mind of another favourite author of mine, John Romer. Like Romer, Kriwaczek’s lightness of touch when dealing with the weightiest of subject matter is the real key to what makes him a wonderful educator. 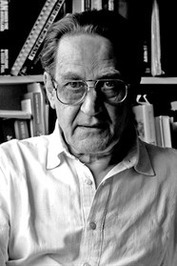 In reading his writing he enthuses you with his own questing sense of curiosity, which was not simply nurtured over long time and meticulous reading, but is also augmented by his own travels and practical investigations – questioning locals and those more in-the-know than him, as well as those possibly less in-the-know too. His curiosity causes him to pose questions and suggest connections others might not necessarily have come up with; but modestly, he never asserts that his ideas are any more or less valid than anyone else’s. This is a journey of shared discovery. One imagines travelling with Kriwaczek and chatting with him would have been a fascinating adventure on so many different levels. 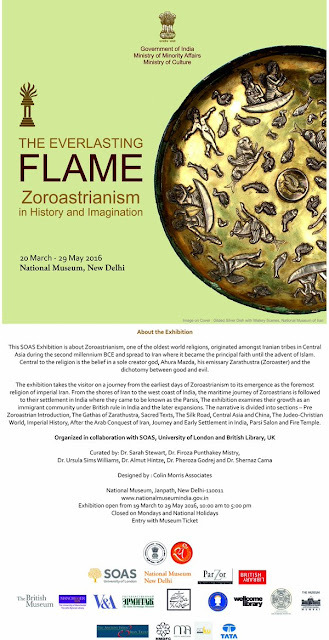 The book, as its title suggests, is a historical investigation into the thoughts and ideas which form the basis of one of humanity’s oldest religions – Zoroastrianism. Yet in doing so it takes in and looks at a variety of civilisations and subsequent religions which may well have been influenced by Zoroastrian connections that have long since become muddied and obscured with the passage of time and often intentional cultural obfuscation. Beginning with the writings of Nietzsche and retracing its narrative backwards in time through the ‘Great Heresy’ of the Cathars in Medieval Europe, to the Manichaens of Central Asia, the Roman Mystery Cult of Mithras, to Biblical times, touching on Judaism, Christianity, Islam, Hinduism, and Buddhism along the way, the book ends by bring us back up to the present when Kriwaczek visits one of the few remaining active Zoroastrian temples in Iran, where he finds expressed in the contrasts of lightness and dark – the ‘good words, good thoughts, good deeds’ – which are the essence of this ancient religious perspective on the world, both human and divine. In this remarkable little book, packed with so much inspirational imagination, Kriwaczek makes no claim to be the definitive historian of his chosen subject. Indeed, he once said of himself that he was the “Master of the Tertiary Source.” Instead, he is the educated enthusiast, with open eyes, open mind, and, as I said before, an actively questing curiosity which cannot help but impress and endear, as well as inspire and reward, the attentive reader. It is his empathy with the past which makes him such a wonderful guide. I hope one day I might be able to write half as well as he did. “It may be easy enough to dream ourselves back into the nineteenth century or even early modern Europe. It may not be much harder, particularly for fans of ‘sword and sorcery’ romance, to fantasise living during the European Middle and Dark Ages. Roman and Greek ways were much closer to ours than we often think and because of familiarity with the Old Testament, its characters and its anecdotes, even life in biblical times is not beyond our power to imagine. (Though the one thing which we can never leave behind, in our mental journeyings, is the knowledge of what was to come after.) But with Zarathustra, even the prophets of Israel are far in the future. We have arrived back at a period in human history whose mind-set is very hard for us to fathom, so different from ours are its accepted beliefs, ethics and values. The value of such a book is surely to teach us that our world and our history is a vast and unbounded place which we are meant to explore and understand for ourselves. To seek continuities, connections, and contrasts, and to think and reflect upon these ideas. In this respect, enlightened writers, such as Paul Kriwaczek, make the most inspiring of guides.